In August, Kenyans went to the polls to elect their president and parliament. The election, set to be a race between Uhuru Kenyatta, the incumbent, and Raila Odinga, the leader of the opposition coalition, was expected to be competitive, though Kenyatta was expected to win out in the end. The result of the election was, somehow, both expected and unexpected. Kenyatta managed to beat Odinga. Odinga, upset at his loss, asserted that the election could not have been fair because the voting systems had been compromised by hackers. Though the head of the voting commission denied this claim, Odinga took his case to the Supreme Court, which nullified the election, citing “irregularities and illegalities,” and ordered Kenyatta to hold a new election in the fall. In October, Kenya held the rerun. The result was yet another win for Uhuru Kenyatta, the incumbent president, and a defeat for Raila Odinga, the challenger. Kenya, which has held open, contested elections since the early 2000s, was unexpectedly thrown into turmoil. Odinga’s supporters refused to accept the result of the rerun, insisting that it, like the original election, had been rigged. They took to the streets in several cities in protest, chanting slogans like “no Raila, no peace!”. Odinga, for his part, did little to dissuade his supporters. In the days following the election, he made fiery speeches and refused to accept the result, calling President Kenyatta a dictator and accusing him of acting like an authoritarian ruler. His coalition, the National Super Alliance (NASA), followed suit, also accusing Kenyatta of running an unfair election, though their criticisms were much less intense than Odinga’s. Odinga’s supporters were similarly upset and protested, mostly peacefully, but with occasional violent outbursts. The country was bitterly divided. 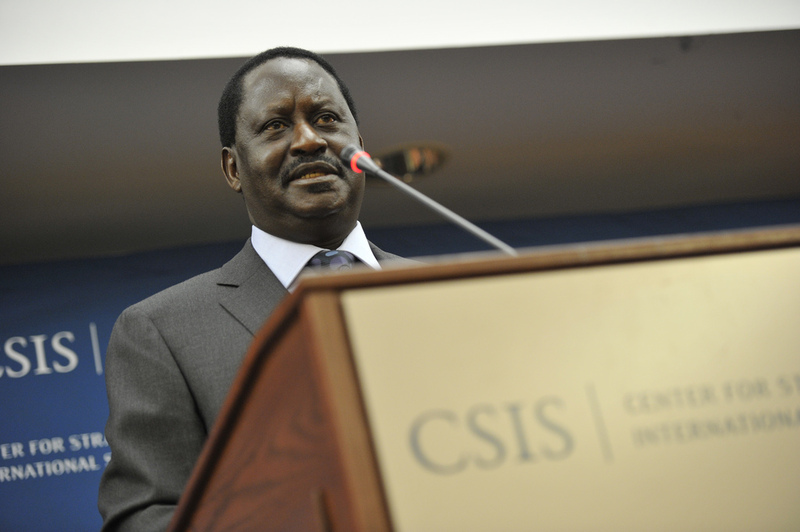 Odinga speaking at a CSIS forum about democracy in Africa in 2011. In early February, the Kenyan government threw what amounted to gasoline on an already sizeable fire. Raila Odinga, in an act of protest against what he saw as a sham election, was to hold his own inauguration ceremony. The global response here was mixed. On one hand, international leaders condemned Odinga for destabilizing the country. On the other hand, they urged Kenyatta to ignore the protest and leave the media alone. The Kenyan government, furious at his act of defiance, ignored this advice and cracked down. They threatened anyone who attended the ceremony with arrest and warned the country’s television networks not to broadcast it. The warnings went unheeded. At 9 AM on January 30, Nation TV (NTV), a Kenyan media group, arrived to broadcast the inauguration, as did two other stations. They filmed for several hours, infuriating Kenyatta’s government, who sent officials and police officers to the stations’ transmission centres to dismantle their equipment. A few hours later, the inauguration disappeared from TV. 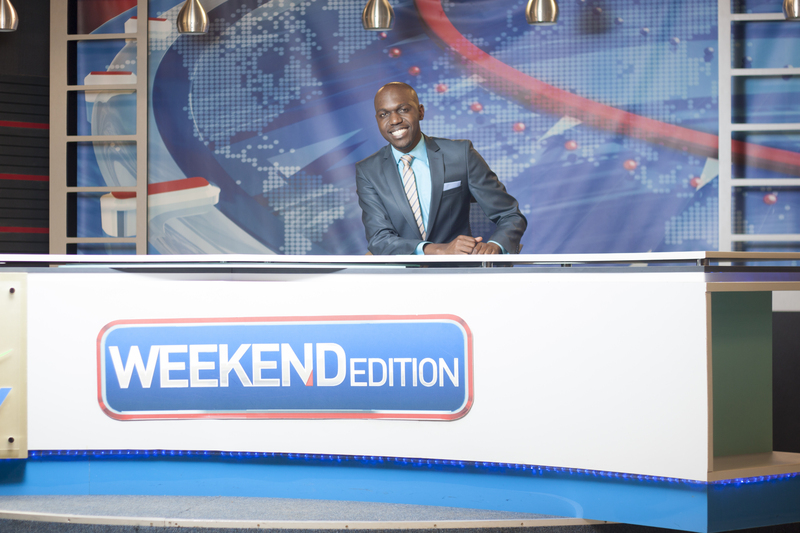 Larry Madowo, one of NTV’s most popular journalists, in studio. The following day, Fred Matiang’i, Kenyatta’s interior minister, announced that the stations were under investigation and were to be prevented from broadcasting indefinitely. Later that day, leading executives at NTV were arrested. Horrified at this development, a Kenyan court ordered the government to allow NTV and the other stations back on the air. The government ignored this order for nearly a full week but eventually returned some of the stations to the air, albeit in a limited capacity. This sudden backslide into authoritarianism is surprising in Kenya, which was, until this past fall, a fairly successful democracy. The nation had seemingly overcome decades of troubling history to create a democratic state with peaceful elections and an active judiciary that checked the power of the executive branch. But with the government ignoring the judiciary’s orders, seemingly with no repercussions, it is difficult to see how that democracy will continue to thrive. While it is possible that Kenya’s legislative or judicial branches could get the democracy back on track, Kenyatta will almost certainly remain in power for at least a few more years. Even if he obeys all other Supreme Court orders and otherwise behaves exactly as a democratic president would, his flouting of the law in this case remains disturbing. If Kenyatta is willing to ignore orders from the court when they are inconvenient to him now, even for a limited time, what is there to stop him from doing it again in the future? Clearly, all safeguards against this sort of presidential overreach have failed in this case. It is not unimaginable that if Kenyatta again decides they are irrelevant, they will once again be insufficient to protect democracy in Kenya.